Over the years, I’ve learned that having self-confidence is one of the most important things you can have. You can boost your confidence in many ways, both inside and out. For me, there are foolproof things that guarantee to make me feel like a million bucks. Read on to find out what they are! When I’m feeling a little down and out, I examine the things that I can change and focus on them. But, you’d be surprised at how much the outside can affect the inside. Now, these things are relative and change according to the person but, they are EASY things that can actively make you feel great! After all, you’re worth it. I don’t know about you but, I feel amazing after a nice shower and go-to beauty routine. It’s pretty self-explanatory but staying groomed really makes a difference with self-esteem. TIP: Try out a new make-up look or a new shade of lipstick! Guys, go get that haircut–it’ll make you feel and look fresh! Hit the salon and get your hair done, you know how great post-salon hair makes you feel! Plus, when you’re looking fabulous–you feel fabulous. Pair your Japanese Akoya Pearls to your dress and stand tall. 2. Take Care of Those Pearly Whites. We spend a lot of time grooming everything else, but do your teeth get the same love? I am meticulous with brushing and flossing but I keep up with dental appointments too. Sometimes we feel if our teeth feel okay or look good, that we don’t need to go to the dentist but, it is incredibly important. The more that you keep up with them, the bigger dental problems you can avoid. It can save you big bucks down the road. TIP: If you are looking for a dentist, book an appointment with your dentist today or find one in your area. Believe me, I’ve been told that your smile is like your business card. A beautiful and healthy smile can boost your confidence and can be contagious. Spread that happiness! Sometimes it feels good to throw on your favourite outfit, do your hair, and put on some make-up. Slip on your favourite shoes. If you’re a dude, put a dress shirt on, shave or get a new haircut and work it. Going out and grabbing that little black dress or new kicks that you’ve had your eye on never hurts either. I find that sometimes my inner voice can be a bit negative. I try to catch myself having negative thoughts and I nip it in the bud. It’s important to be aware of negative self-talk and when you catch yourself, replace it with a positive and reinforcing thought. If you’re choosing to eat better, ask yourself, “Does this give me the fuel I need?” or if you’re looking to push yourself during a workout, tell yourself, “You can do it, keep pushing!” This positive inner voice can be used in any aspect in your life. You will see how quickly you can boost your confidence when you think more positively. Walk the walk, talk the talk . Turn those positive thoughts into action and soon enough, you will be achieving any goal you set your mind to. Now that can do wonders for your self-esteem and confidence, right? 6. Eat Better, Move More and Get Rest. This is one that I struggle with the most, especially over the last few years. But, I am using a positive inner voice to make better decisions every day. Small changes can make big changes eventually. TIP: Try disconnecting for electronics 2 hours before bedtime, it will help you to sleep better. Moving more produces feel-good endorphins and if you’re eating better, you feel healthier and that makes your confidence soar! Making sure to get plenty of rest is good for you. Your body can recover from exercise, you feel refreshed and it keeps you healthy. No one needs to know your kind and generous acts unless you want them too. But, doing something for someone in need does wonders for the soul. Whether you make a donation to a cause you believe in or if you donate your time to one; it will make you feel good and make a difference in someone’s life. 8. Set a Small Goal and Conquer It. Trying to do it all can be overwhelming and can often lead to us feeling inept. Instead, choose one small goal that you can set your sights on and conquer it. Working towards smaller goals is more attainable and when you accomplish it, you’ll feel amazing. Learning to attack smaller goals will help you to continue to achieve them and bigger goals too! Nothing feels better than being really good at something. If you are looking to boost your confidence, this is a great way to do it. Pick something that you love and spend 30 minutes a day practicing it. In no time, you’ll be quite adept at it and you can continue self-improving! There you have it folks, these are only 9 ways to help you to boost your confidence in no time. I’m sure you have some creative ways too! One thing is for sure, one of the best medicines in the world is laughter and keeping that smile healthy goes a long way. Book an appointment with your dentist today or find one in your area. Thanks a lot for sharing these. It’s always important to approach life with a belief that you will succeed. Confidence is key to that. I do pretty much all of these. I get ready for the day everyday, even if I’m not going anywhere, just so I have that feeling of being on point. Good stuff! I am prone to bad confidence. It’s a lifelong thing. I find that reaching out to others helps so much. And I am all about the dentist! I’m a professional photographer so I notice teeth a lot. Yes, a great smile can help confidence for sure. I love this article! I am going to print this if it’s OK, my daughter has a friend who is dealing with confidence issues and I would love to share this with her. Thanks again! These are great tips! I so often feel like I just don’t have what it takes. I think I just need to follow some of these tips. I think we all feel that way but, having a positive inner voice is a great start. I am going to print out your list and hang it up in my office. This is something that I struggle with all the time. Being an “older blogger” and having brain damage, I constantly second guess myself. I would LOVE to have my teeth whitened. I think that I’ll ask my dentist about it the next time I see him. Just remember that you are awesome. It is always a great thing to try our best. Having a great smile can do wonders for your confidence too. That is a great idea. I need to tattoo #6 on my forehead. It is so simple, yet one of my biggest struggles. Why is this so hard. I struggle with it too, we just gotta try our best. This is a great list. Thinking and staying positive are sure ways to boost one’s confidence. I also like dressing up. Be KIND is a great tip for boosting self-confidence. I love your list because it does not just focus on how one looks bu how one IS from the inside out. Thanks so much, both are so important. These are all simple yet wonderful ways to ensure confidence. I always feel my best when I look my best, so routine salon visits, regular exercise and a clean diet are all musts for me. These are all great steps. I think it’s important to boost confidence. I think everyone should have some confidence always. These are super tips. I remember growing up that I wasn’t always confident. Now that I am older, I still have a few confidence issues. These are wonderful tips! Honestly, nothing boosts my confidence more than when I’m helping others. It truly does wonders for the soul! Great tips! I could especially relate to dressing up. I work from home so it’s easy to stay in my sweats all day .. although I feel so much better about myself if I put on some jeans and a little nicer shirt! I am with you on that too! What a great steps! I love it. I will apply all of this to myself. Its really helping. That is awesome, I am glad that it will help. Thank you for sharing. It is important to have confidence in everything that we do. Confidence I may say somehow is a skill too and it starts within you. 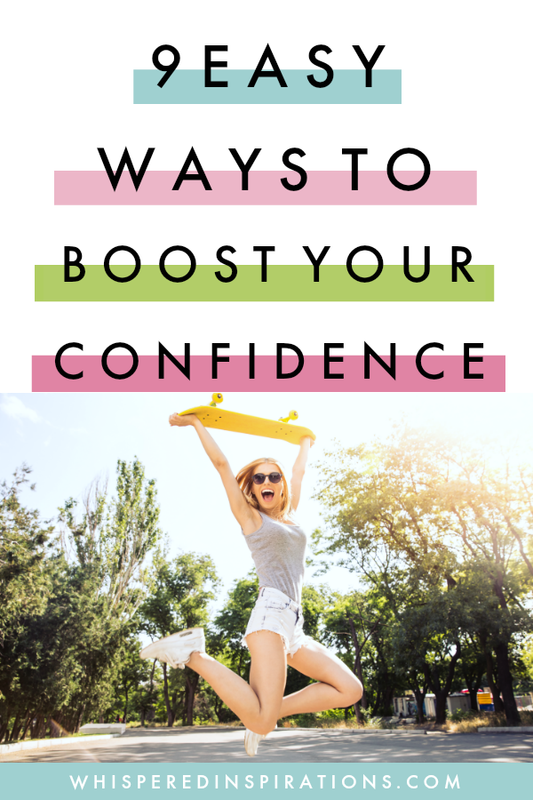 These are all great ways to boost your confidence. It is so important for us to give ourselves some alone time to reboot and it helps with confidence as well. I know when I dress nice and put make-up it make me happy. Thanks for sharing the tips. My pleasure and you are so right. 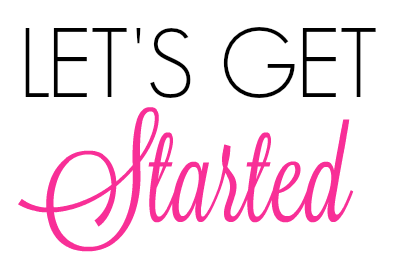 Thanks Nancy we just discussed this post with our preteen granddaughters and it’s so helpful! Yes, I think it really does! Thank you for sharing these tips! Words to live by! I try to start each day thinking about all the positive things have in my life. It gets me in a great mood. I always feel more confident when I take the time to look my best in the morning. I have been known to not have self confidence, but I have become better as I have gotten older and I love who I am now! LOVE all these tips! I think it is something we learn for sure! These are awesome tips! Boosting my confidence is definitely something that I need to work on. I think for me, I have to stop comparing myself to other people, as that’s when I start to make myself feel bad. Everyone needs to realize they are unique! I think that is a great tip. We are all guilty of doing that. These are great tips. Thanks for sharing. I think we all need some help with a confidence boost once in a while. A very good topic. A lot of people struggle with this even without realizing. Thank you for sharing this. I love all your tips in here! Boosting self-confidence can be tough. These tips could really help! Honestly, I need this big time! My confidence is in the tank lately!!! Yes, it makes a huge difference! I love your ideas! I’ve been working on the dressing up part, definitely makes a huge difference in your confidence!